Ultra Cordyceps contains pure cultivated Cordyceps sinensis. 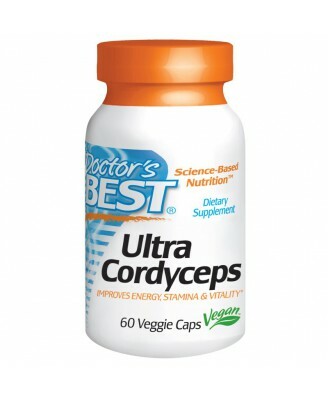 Ultra Cordyceps contains pure cultivated Cordyceps sinensis. 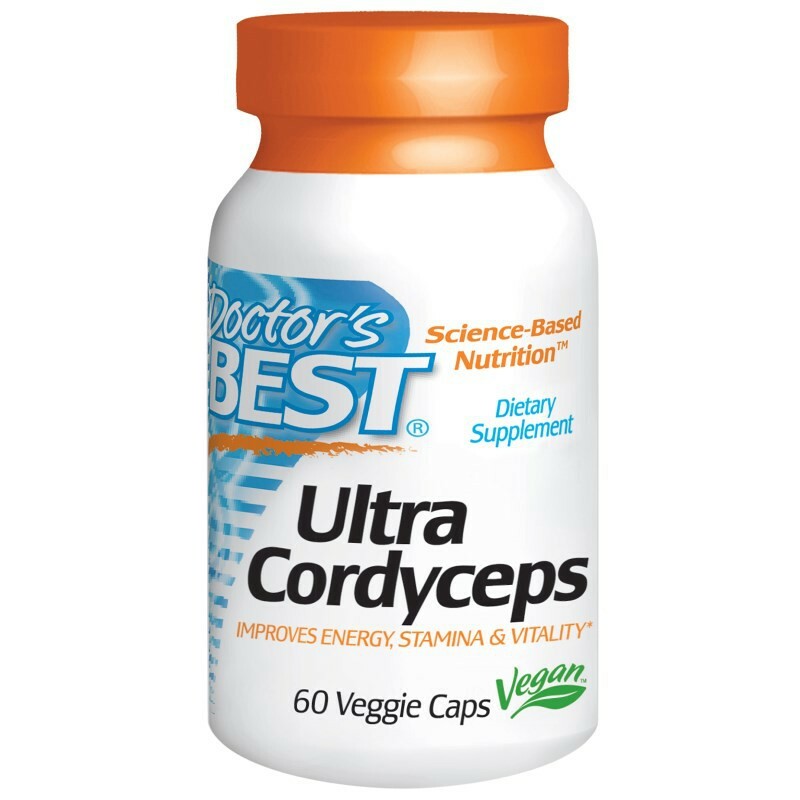 The strain of Cordyceps in this product is recognized by the Chinese government as similar to wild Cordyceps sinensis, a rare fungus that grows above 15,000 feet in the Tibetan Highlands region of China. 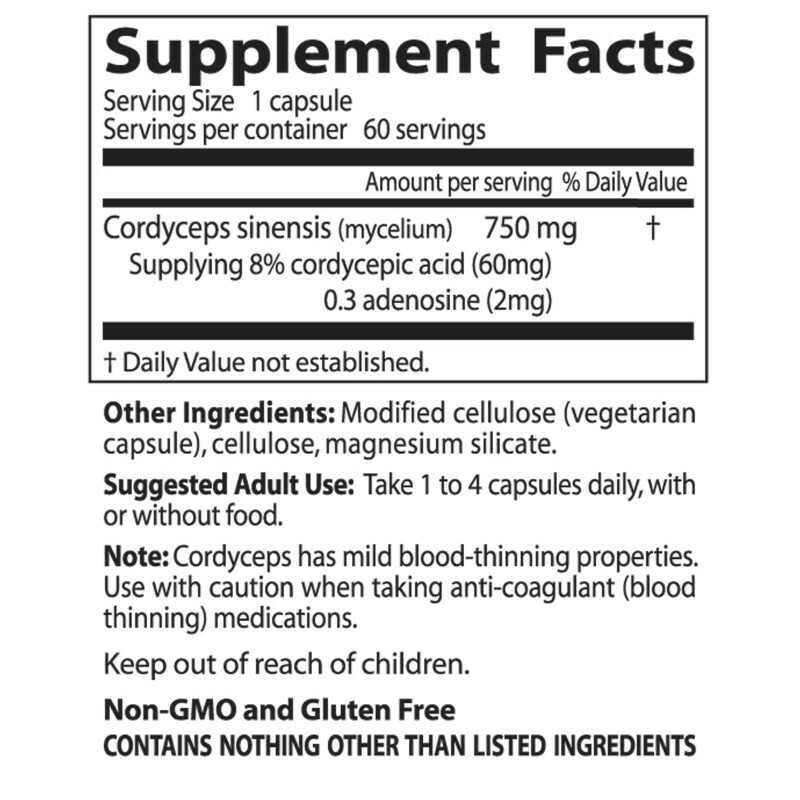 Cordyceps has mild blood-thinning properties. Use with caution when taking anti-coagulant (blood thinning) medications.